Color Your Way to Autumn Calm! Hey, hey, hey! Time for another great giveaway! The random drawing will be held on October 22; the winner will be announced on my blog sometime that week (subscribe at www.DeboraCoty.com so you won’t miss it!). 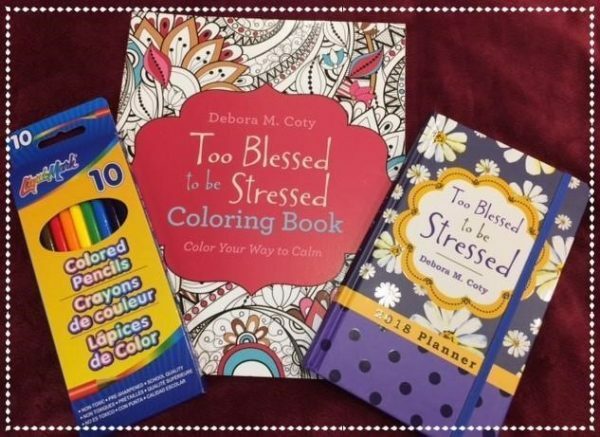 All you have to do is SEND ME a sentence or two about your fave Too Blessed to be Stressed book and why (hey, I might just publish your blurb on my blog or newsletter!). If you need a memory jog, just hop over to my website, where you’ll find descriptions of all my books. I can’t wait to hear from you! After all, you’re the reason I write.